From technical view, REDTONE is forming Ascending Triangle Pattern. 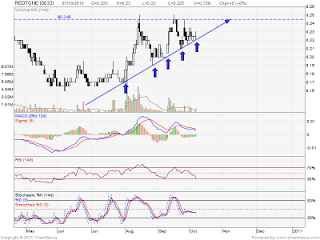 It resistant is around RM0.245 & strong support level should be bottom line of the triangle. 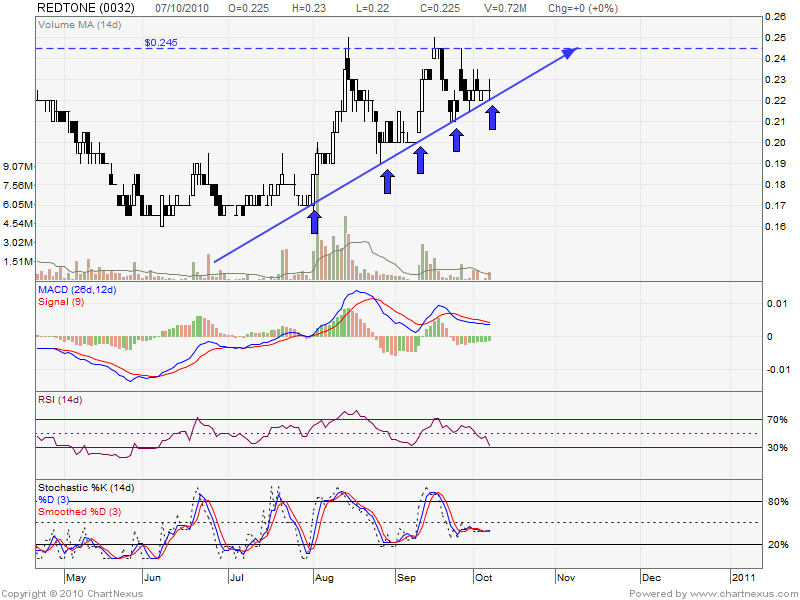 This round it should re-test RM0.245 again & retrace down to triangle bottom line before break up RM0.245 level. Most analysts will take a position once the price breaks through the top line of the triangle with increased volume.